Batteries are the heart of your RV. If you take care of your RV's batteries, they'll take care of you, because they are the heart of your RV's operating systems and most of the equipment. As a retired engineer, I can hardly restrain myself from starting a jargon-filled technical lecture on the design of batteries, cells, charging systems, and so on. But you can Google all of that battery technology information yourself on thousands of sites on the web. 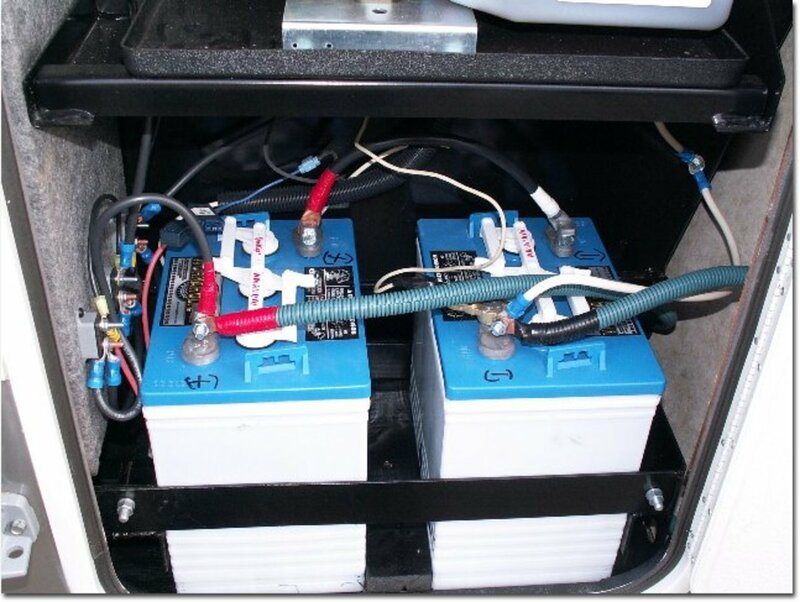 In this article, I will provide simple and common-sense information on the batteries in your RV that you can use to not only camp safer but also save money. First of all, you should understand that there are two 12-VDC electrical systems in a motorhome and they are powered by two seperate sets of batteries.. In all motorhomes, regardless of type, the 12-VDC electrical systems are called CHASSIS and COACH systems. Towable RVs such as fifth-wheelers, camper trailers, and even your simple pop-ups will utilize what is referred to as a COACH (or AUX) electrical system and the batteries are there to provide 12-VDC electrical power for the interior electrical systems when you are not connected to campsite power or are running a generator. And, of course, as RV designs evolved, these simple camper-centric electrical systems were duplicated in your motorhomes and were kept separate from the motorhome's CHASSIS (or MAIN) systems. The first motorhomes were built on on the chassis of a diesel-powered commercial bus. On these old motorhomes, they installed "COACH" electrical systems for the interior 12-VDC electrical systems. Because these large diesel-powered motorhomes were expensive, RV manufacturers quickly moved over to building a much lower cost motorhome on the chassis of a gasoline-powered truck. That truck chassis already had its own engine and all of the electrical equipment needed to drive it safely down the road. This 12-VDC electrical system in your motorhome is what is referred to as your CHASSIS (or MAIN) electrical system. and other electrical equipment you will typically find in a truck manufactured today. 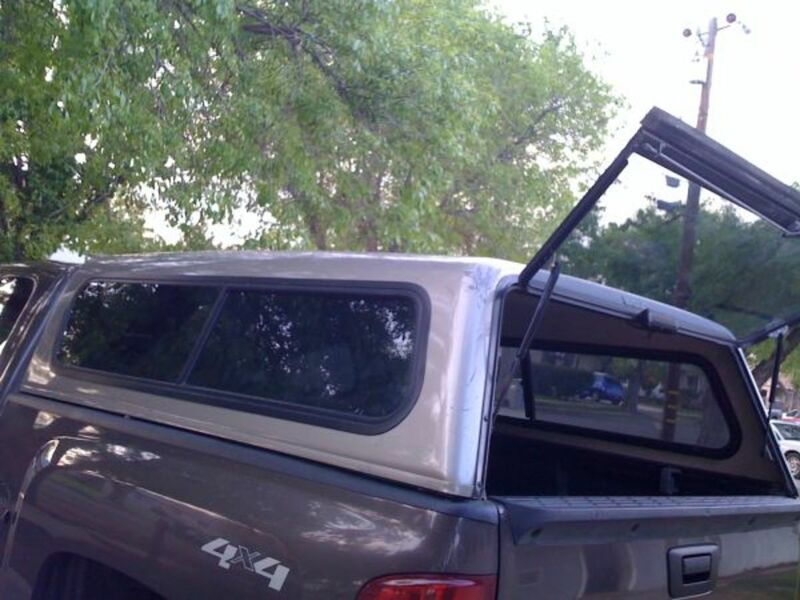 The chassis battery also provides power for some of the camper's outside equipment, such as the power entry step, the power awning, and any exterior lights. 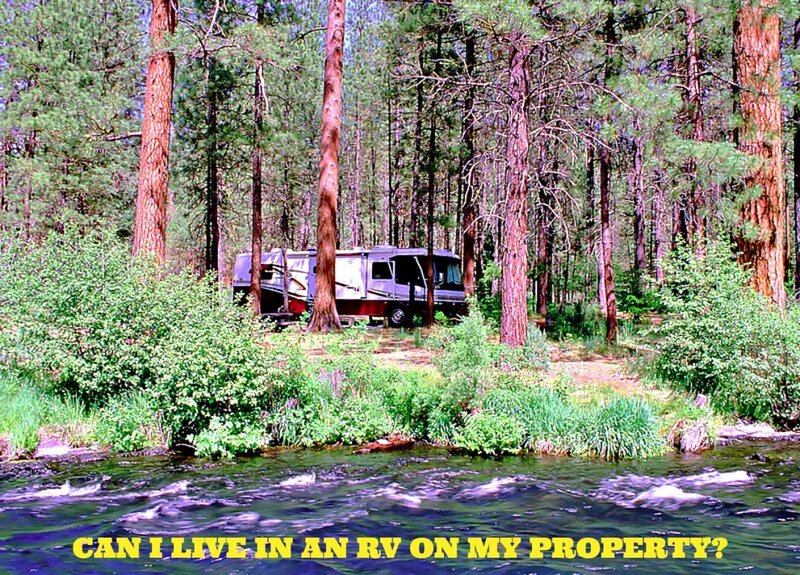 So, a typical RV has two electrical systems with different histories. Each of these electrical systems may have exceptions or additions as RV designs evolve, but they will normally be separate systems. One system, the CHASSIS electrical system, keeps the motorhome going down the road, and the COACH electrical system supports the accessories and appliances that keep your camper or motorhome comfortable, typically providing 12-volt DC power for everything inside the RV. Since fifth wheelers, travel trailers and even pop-ups are towed by another vehicle, they will only have the COACH system. Towed campers, especially the newer models, will have many of the same appliances as larger RVs. Both COACH and CHASSIS systems are powered by simple lead-acid type batteries, put together in different configurations, though high-tech alternatives using metals other than lead are available. Your CHASSIS battery is a standard automotive battery and is kept charged by the engine in the engine compartment. I recommend that for the COACH batteries you use the deep-discharge type of automotive lead-acid battery, which has denser lead plates. Deep-discharge batteries are designed to take the stress of being charged and then almost totally discharged many times without being damaged. (Click here to read a slightly more technical discussion of "deep discharge"). There are several different configurations of batteries used in motorhome COACH systems, and they exist to provide more current when necessary to power the variety of 12-VDC loads in different RVs. A pop-up camper or a towed camper trailer might have one standard 12-volt deep-discharge battery which provides adequate power for the electrical equipment in these smaller campers. 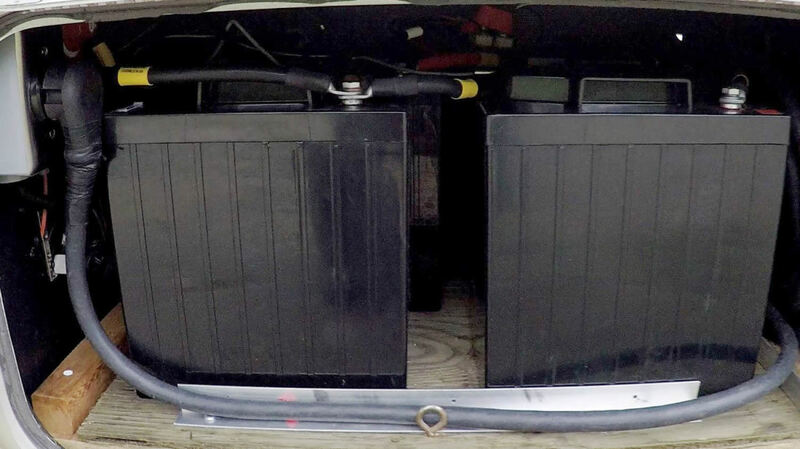 Many of these batteries generally get recharged when the camper is connected to the towing vehicle and the towing vehicle's motor is running. Or they may require being recharged separately by a built-in AC-to-DC Converter. Older (and smaller) motorhomes might have a single coach battery and a single chassis battery, each being a 12-volt battery, while the larger ones may use from two to four 6-Volt or 12-Volt batteries wired in configurations that are all designed to provide 12-VDC at higher current level. It is pretty standard to have a "bank" of four 6-volt coach batteries wired in a 12-volt configuration just for this higher current demand inside the motorhome. Since DC electrical systems in coaches are 12-volt systems, typically two 6-volt coach batteries can be wired in series to provide the same 12 volts as two 12-VDC batteries and have significantly more current storage capacity. Some motorhomes will utilize four 6-volt batteries, and when wired properly, these four will provide much more current than two 12-volt batteries. These 6-volt batteries are usually deep-discharge batteries and are the same designs as those used in electric golf carts and marine appliations. Remember, all your batteries require regular preventative maintenance. Inspect for Damage. After you set up at your campsite, you can save you a lot of heartache later if you check for such things as loose wires, frayed wires, a cracked battery case, spilled battery fluid, or battery acid build-up on your terminals that may have been caused by your travels. Battery Fluid Level. Before every trip, check all battery fluid levels and refill any cells that are low on fluid as necessary, with distilled water only. Road Ready. Before every trip, check that all battery connectors are tight, and are clean of any oxidation residue. Storage Inspection. When storing your RV for an extended time, check the batteries at least once a month and either utilize a small Solar Trickle Charger or run your generator until they are fully charged. See the Table below for relative battery capacity. Residual Current Leakage. Remember, these electrical systems, even with the switches turned off, will leak low currents and this will, over time, discharge your batteries. Inspections While Camping. When camping at a campground for an extended time, check the batteries at least every 2-4 weeks, especially the fluid levels in the coach batteries. Remember, these batteries are powering most of your lights and many appliance control systems, so even though you are plugged into 110-Volts AC at your site, they are constantly being re-charged and can lose fluids over time. Start Engine Monthly. Also, when camping for an extended time, start your coach engine at least every 30 days, and run it for at least 30 minutes to keep every thing lubricated in the engine system, but also to re-charge your chassis batteries. Battery Cut-Off Switch - Once you have parked and set up your RV, turn the CHASSIS battery switch OFF (if you have one). That way the chassis batteries will remain fresh longer and be more likely to start your engine when you are ready to leave your campsite. And you want to keep those chassis batteries fresh. Because when both switches are on, and you are not connected to 110-volt AC power—you know, boondocking, rough camping, whatever you want to call it—your 12-volt accessories are pulling power from all of your batteries including the chassis batteries. It is very embarrassing to get ready to pull out at a campsite, and find out you don’t have enough juice to turn over your engine, or even your generator. The considerate manufacturer has these coach and chassis batteries stored on a pull-out shelf for ease of service, usually near the engine and generator, if for no other reason than to minimize the length of the high-current wires required. I have to get at least a little technical on you. Here is some good information on what battery voltages should be in fully charged and partly charged batteries. Your typical 12-volt battery, when fully charged, and with no load, should read 12.6 volts DC (VDC). When you start your vehicle, the alternator will charge the battery, as controlled by its regulator circuit, starting at 13.2 to 14.4 VDC, depending on the amount of current the battery draws. It will drop to 12.8 to 13.2 VDC when it is fully charged. 1. After fully charging a battery, wait at least 12 hours to check the actual open-load voltage. This will allow the plates of the battery to stabilize and will provide a more accurate reading. 2. Almost all RV’s today, like automobiles, utilize numerous computers in their electrical systems, and it is not recommended to utilize fast-charge jumper chargers or booster packs to start an RV or car quickly, as the higher voltages can damage the computers. If your batteries are maintained and used properly, you should never need a jump; but if you do, it is recommended to utilize a slow charger to avoid damage to the batteries and the RV electronics. I added one of these to my older Winny a few years ago, and it was great, as it kept my batteries charged when I had my RV in storage. Again, I am staying away from describing all of the different electrical systems and accessories in RV’s and campers today. But, I do want you to know some simple facts about switches. Manufacturers found out years ago that they had to include a selector switch (and often breakers or fuses) in battery wiring systems, for safety if nothing else. It was quickly obvious to them that the potential current flow that had to be turned off and on was so high (under some conditions) that it was safer to use a low-current switch to control a higher current solenoid (or relay). This is now pretty much the standard with all RV's. Your RV will have a cabin on/off switch for turning off the 12-volt power to most of the cabin items that use this voltage. Whenever you leave the RV for a day or two, you should turn this switch off. This will reduce the drain on your coach batteries while you are away. The coach switch location varies by vehicle design, but is usually near the coach entrance for owner convenience. Often the switch has an Indicator light of some kind on them to indicate that they are on. Also your RV or camper will have a pair of master breaker switches that engage and disengage the two sets of batteries from the chassis and coach electrical systems. These switches are supposed to be used during long-term storage to reduce the current draw on your batteries. Also, they provide additional safety when you are maintaining your batteries. To keep my RV battery charged, I had an electrician add one of these switches to my RV wiring and it worked great for me. First of all, there should typically only be one or two wires on the negative battery terminals. One will go to Chassis Ground, and the other (if it exists) would often go to a sensing circuit in your RV. 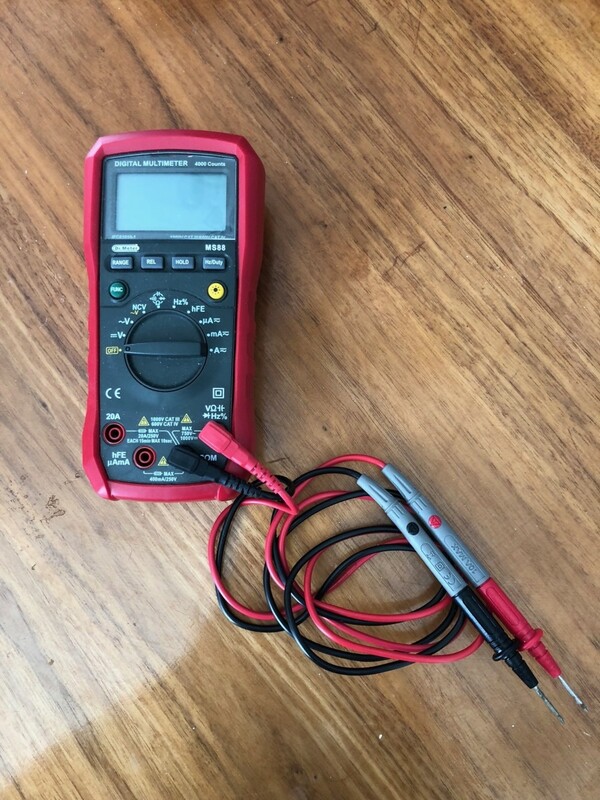 All of the other wires should connect to the Positive terminals of the battery. As to your discharge problem, it looks like the previous owner had a problem himself, so it's hard to say what your problem may be. One of the wires on the positive terminal is to the RV's Converter (Charger) which keeps the COACH batteries charged. So, make sure this is operating properly before you go chasing your discharge problem. Then, I would check that EVERY accessory and appliance that runs on 12-VDC is working properly before moving on.